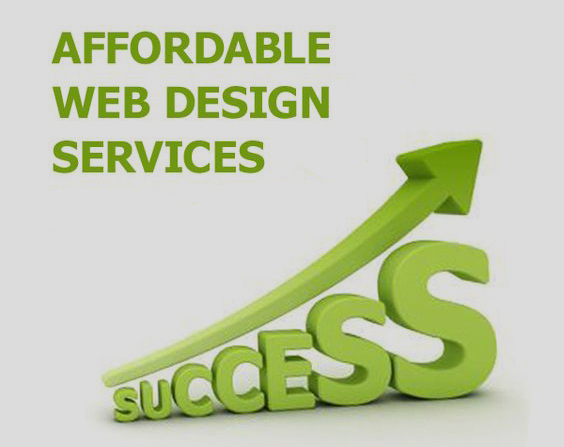 Affordable website design is the new world order since the internet stormed into our lives. To have an online presence is essential for both big and small businesses for many reasons. It is cheap and does not require a physical shop for selling. You can operate your business while sitting on a couch. Having a website also opens new doors to digital visitors. There is a broader audience to capture through your site; Innovative Designers know the right tricks for creating Affordable Website Designs. A website should contain strong SEO for busy traffic. But it should also reflect the essence of its existence. For example, a website for a rock band will look Odd if you use light colors and open spaces. Similarly, if a motivational speaker uses a dark design, the visitor will feel uncomfortable. So design is what makes a site look beautiful and welcoming to the visitors. It should display what the brand or a blog is all about. Communicating the non-verbal cues to the visitor`s sub-conscious will make your web existence meaningful. Who is the target audience? What is the purpose of the site? What type of people do you want to visit your website? Understand the answers to these questions before you plan on making or designing a website. First things first, decide on what your web pages will look. Think of a layout which goes best with your website content. The same layout should run through your entire website, on each and every page. This gives a connected look to the website design. Select the contents of the top bar and the bottom bar. This will start giving some shape to your website and make further decisions easier for you. Get inspiration from Innovative Designers for choosing a complimenting layout and great Affordable Website Design. A menu is like a map to your website. It has to be easily visible, and the navigation options should be clear for the visitor. Add only the primary or essential pages in the menu bar. You can add sub-categories for a thorough view of what the website has to offer. Use short and straightforward page titles to avoid any confusion. As an unsaid law, the menu bar goes on the top of a website. It is where your visitor will look for it, so before you decide to get all creative, keep the comfort of your visitor in mind. It is where the fun begins. You get to choose a style and decide what your website will look. There are many templates available by on the web. Some are free, and others need some money before you experiment with them. A template will make your web design journey easier, do not doubt it. But you can tweak some themes with customization if personal touch is significant to you. It is Fun, and it is a significant step to add some appeal to your website. Colors bring everything to life. Why do you think spring is the best season of all? But hold your horses before you go crazy splashing colors all over your website. Like everything else in life, color scheming has some rules. There has to be one primary color with one or two supporting hues. The background should have a complimenting color. Have a monochromatic color scheme throughout your website for a neat finishing. Think of a strategy to place your content on the website. Use fonts which are clear to read yet add style to the overall look. Use SEO for attracting visitors. Images bring out the best in your website. Use clear and crisp pictures but the size should not too large as it will slow down your website. Videos are making their way the web world. Use them smartly though. Experts like Innovative Designers create well thought out a content strategy for a power packed affordable website design. Experiment on your website before you make it live on the internet. Make changes in all departments. Think of it as your playground. It will clear your mind on what exactly needs to be done before you go online.